There are lots of different ways to get through the cosmopolitan. Transport-opportunities are many. Metro is easy, but if you want to enjoy the city, and fell like having a bit more sophisticated lifestyle, and not get annoyed by all the people, I would choose something more exiting. Like the Vespa! It was Sunday. One of my Parisian friends; an artistic director for a big magazine in Moscow, had invited me out for a brunch. I arrived at his place, and saw him standing beside his red Vespa, ready to take me for a ride. 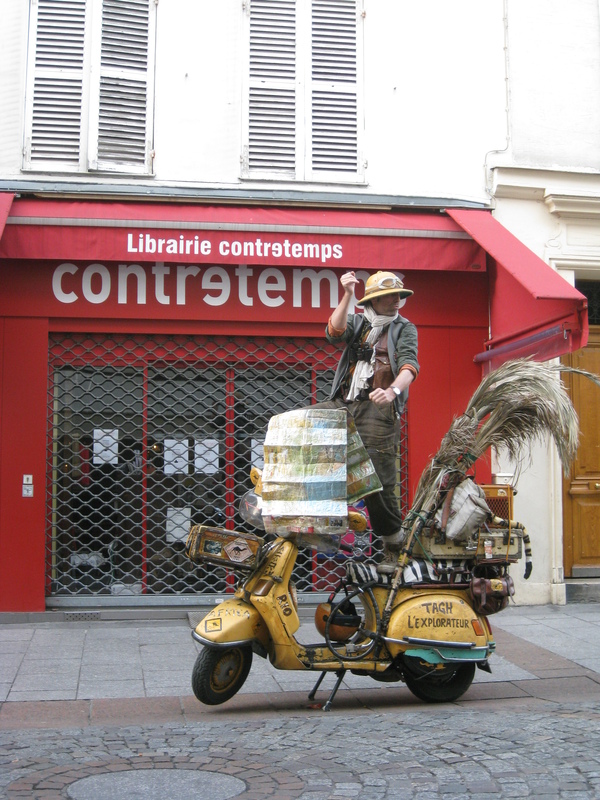 It´s as if everyone in Paris have a Vespa-scooter. I see it everywhere, and I love it for a lot of reasons! But Vespas date back further than that first appearance in Hollywood. “After World War II, the Italian Enrico Piaggio (Piaggio & Co aeronautical transportation manufacturer) decided to help resolve the country’s need for an affordable, modern transportation. Enrico Piaggio was giving the thumbs down on several prototypes, but he finely approved the MP6, a more aerodynamic model, and declared that its buzzing engine looked like a wasp; “Sembra una vespa” Hence the name. 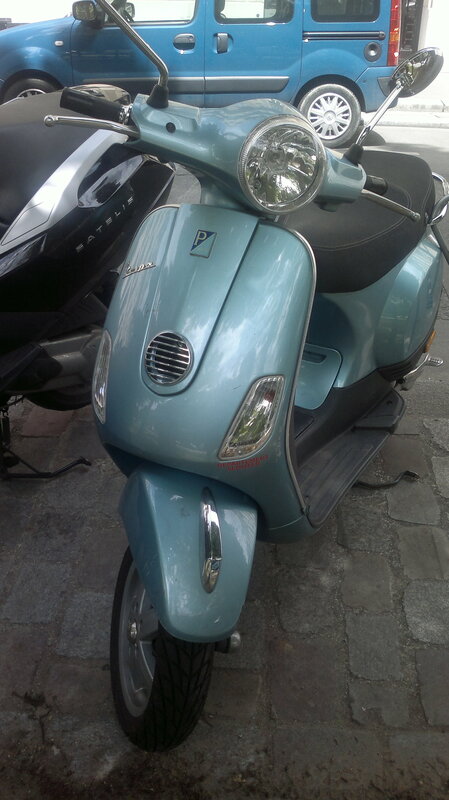 I got on the Vespa, and we drove though the streets of Paris. I noticed buildings and streets that I hadn´t seen before, while the cool wind in my hair gave me a feeling of being alive! The Vespa is amazing. You can even do theater on it!